Saint-Gobain, 3M, CUMI, Sia Abrasives AG, KLINGSPOR, Hermes Schleifmittel GmbH, and VSM AG among others are some of the prominent players at the forefront of competition in the Global Coated Abrasives Market. Abrasives can be defined as substance used for giving shape to any hard material by rubbing the material against the abrasives. Abrasives are divided into three main categories, bonded abrasives, coated abrasives, and super abrasives. Coated Abrasives are abrasives, which consist of an abrasive grain fixed into a backing material or substrate generally made of paper, cloth, vulcanized rubber, and polyester film. The most commonly used coated abrasives grains are aluminium oxide, silicon carbide, zirconia alumina, ceramic alumina, garnet, and emery. 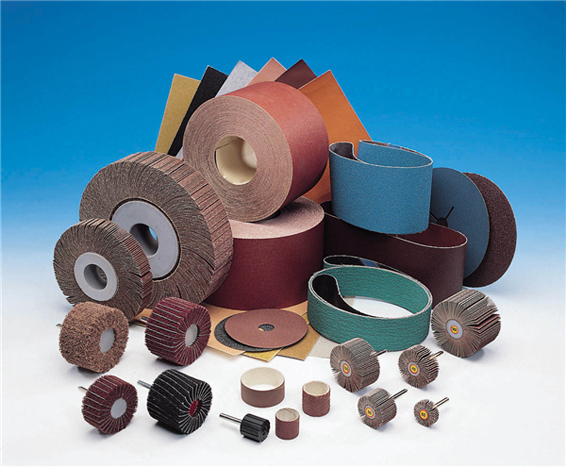 Coated Abrasives are available in different product forms such as belts, rolls, discs and wheels. The Global Coated Abrasives Market accounts for more than one-third share of the multibillion abrasives industry, with application across an array of industries such as, metal works, wood works, and automotive among others. Metalworking and wood working together accounts for more than half of the market volume share in terms of consumption. Hence, the market trends for Coated Abrasives are highly dependent on the dynamics of the latter mentioned industries. If we take into account for the consumption of metals across various industries, the market for metals is poised to grow at a decent rate in the coming years. For instance, industry statistics the consumption of steel accounted for nearly 1600 million tons in 2016 across various industries. Similarly, with rapid urbanization and industrialization in the emerging economies the trends for metals consumption remains compelling. Recent joint venture between two celebrity steel manufacturers ArcelorMittal and Steel Authority of India (SAIL) to make high-end steel for the automobile industry will add up to the total output of steel in India. Thus, considering the metals market outlook the demand for Coated Abrasives in the metalworking industry is expected propel in the coming years. Substantial spending on abrasives and grinding wheels in the metal working industry is also another protuberant factor compelling the market for Coated Abrasives; the spending on abrasives and grinding wheels in the metal working industry accounted for USD 268.4 million in 2016, expected to reach nearly USD 435 million by 2020. Coated abrasives being a highly competitive market the major players involved in the market are involved in expanding their presence towards the emerging economies and product innovation to tackle the fierce competition and capture market share. Optimization of supply chain to increase the margin is another trend among the Coated Abrasives manufacturers in the market. For Instance, Saint-Gobain’s centralized ordering sites where they receive orders from different locations and sell through their dedicated distributors in the particular regions, thus, expanding the companies reach and customer base. Backward integration is another trend by the players adopted in the Coated Abrasives Market space to minimise operating cost structure. For instance, CUMI one of the leading players in the Indian abrasives market has a backward integrated business model which helps the company to produce cost-effective products thus capitalizing the market share in the domestic market amidst tuff competition and new products from its peers like 3M and Saint-Gobain.